Mobile devices have quickly become essential for companies to enhance and add efficiency to their organization. Plus with more people working remotely, there needs to be an easy and efficient way to help secure those devices and manage the settings, apps and information they connect to. Jamf Now is fast way to configure, manage and protect your Apple device because you can never be too safe with your company data. iPhone, iPad or Mac devices can be setup, configured and accessed remotely with Jamf Now to make your employees productive and saving you loads of time. Furthermore, Jamf Now brings all your Apple devices into a single digital inventory where you can check the status of your email accounts, security settings and deployed apps. Jamf Now can also help you with regular updates of your Apple devices including apps and operating systems. Jamf Now helps guard your company information at the click of a button. It helps you administer passwords and encryption, and allows you to lock your device or even wipe it remotely to avoid having your data fall into the wrong hands. 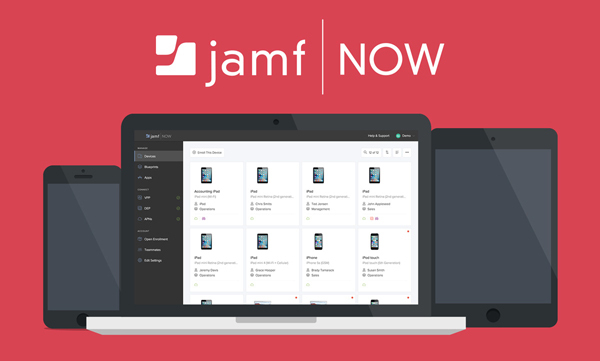 You might think that all this must come at a serious cost but Jamf Now is free for the first three devices you. If you like the solution and you want to add more devices you can do that for just $2 per device per month. 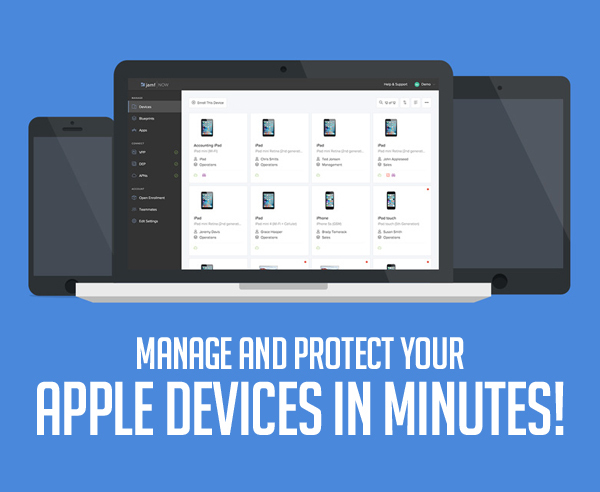 Comments to Manage and protect your Apple devices in minutes!